Lady Gaga Saga Continues at . . . El Farolito? We finally managed to track down the actual photographer from last Friday’s Gaga-fest and had a chance to chat and set the story straight. Everyone, please meet Claire, the Rosamunde-employee-turned-paparazzi, whom we last observed being a real scooter hero. I’m just going to do my best paraphrasing what she told me, so let me get out of your way here real quick. “It was Wednesday at about 1:30pm. There were only two people or so eating in the restaurant when Lady Gaga came in accompanied by three Secret Service style bodyguards and her boyfriend Luc Karl (of drunkdiet.com) while another bodyguard waited in a car. They had been driving up from San Jose after playing a show there Monday and had six hours to kill in San Francisco before they continued on to Portland for a show on Thursday night. Gaga had been harboring a craving for Mexican food, so the couple made a quick stop in the Mission because they had heard it was the place to be for burritos. However, the pop superstar saw the word “Sausage” on the Rosamunde sign and thought it was soooo funny that they just had to stop in. Despite his belief that beer is the new chocolate cake and is bad for his abs, Luc nonetheless ordered a Unibroue Blanche De Chambly while Gaga settled for a nondescript white wine [pictured–the Zinfandel perhaps? Also, this unfortunately means that Lady Gaga did not in fact stick a Rosamunde sausage in her mouth as previously believed]. After I served them, the couple chilled out with their drinks for a bit while messing with their phones. At one point, Gaga asked me how to spell “Diarrhea,” presumably for her Twitter or Facebook or something. As I spelled it out for her, she noticed my jewelry and asked me where I got it. I told her I made it all myself (I have a degree in Metalsmithing) and she got excited and said she wanted me to make her a necklace for the MTV Music Awards. After a few OMG’s I realized I didn’t have any other samples with me, but she told me not to worry and to just stop by Waterbar (where she was having dinner later that evening) after I finished my shift to drop some off. Anyway, my coworkers still didn’t quite believe that it was really her, and my buddy Goose (the other guy in the picture) who was hanging out at the time was completely oblivious. He asked her, “So, uh, do you have a band or something.” “Oh, so is it your band, or are you just in the band?” “Really, what’s it called?” Gaga was surprised but amused, and just said, “Lady Gaga,” causing Goose to do a double take and stammer an apology or something. She ended up hanging in the nearly empty Rosamunde for around 2 hours, just chatting away with me and some of my coworkers. It was a pretty awesome experience–she’s a rad lady! Her bodyguards kept reminding her that she had reservations at Waterbar at 7pm, but Lady Gaga was determined to get a real Mission burrito before she left San Francisco, so she asked us where she could find the best one. We all agreed that she should check out El Farolito, which was of course located just kitty-corner to our spot. With that, Gaga bade farewell, headed across the street with Luc and her bodyguards, and probably shoved an Al Pastor Super into her face about 15 minutes later. Author Andrew SarkaratiPosted on August 31, 2010 August 31, 2010 Categories Food and Drink, Life in the Mission, PeopleTags Lady Gaga, rosamunde, tmz21 Comments on Lady Gaga Saga Continues at . . . El Farolito? Do you want to protect your right to throw an alcoholic energy drink themed flash dance party in the park without being hassled by the po-po? Who doesn’t? 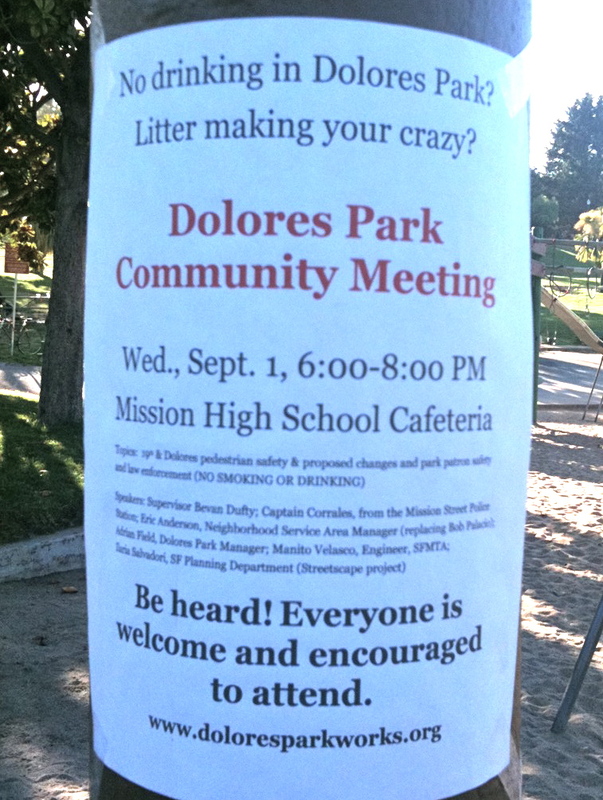 Dolores Park Works has organized a community meeting to discuss safety, law enforcement and 19th & Dolores has been set. The big day is just two days away, Wednesday, September 1st, from 6:00-8:00, at Mission High School cafeteria, which is located across from the tennis courts in Dolores Park (entrance to cafeteria off of Dolores & 18th). Get to work folks, you have about 30 hours to formulate a convincing argument about how we live in a police state and that NIMBYs are harshing your mellow, man. See you there! No, they’re not rennovating. 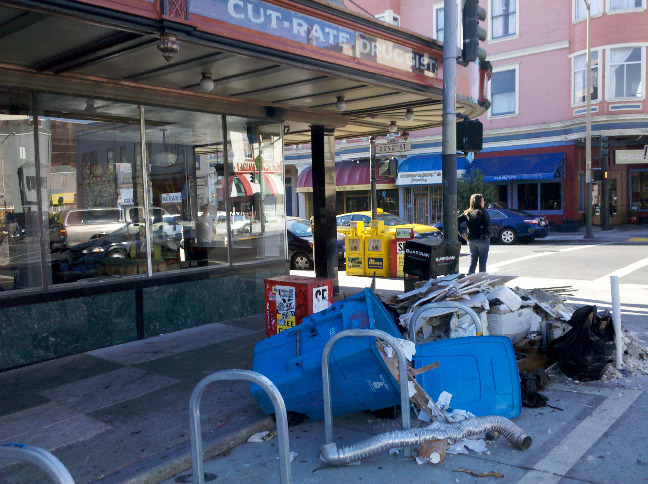 A small fire that started in the kitchen last night forced SFFD to arrive on the scene and hose down the popular brunch spot. By morning a pile of rubbish had already been cleared outside, but the damage inside appeared to be minimal. So don’t worry; by the time the weekend arrives, you should be able to wait 30 minutes for a table again! UPDATE!!! According to Mission Local, they opened at 9:30am this morning! Just in case you’re like me and Banksy Fever™ still wasn’t enough for you to get out and see Exit Through the Gift Shop, it’s playing at the Roxie through Thursday. Showtimes are at 8:30pm. It’s hard to believe that our favorite warehouse-occupying, wifi-hating, coffee-snob-making coffee house is only 2 years old today. 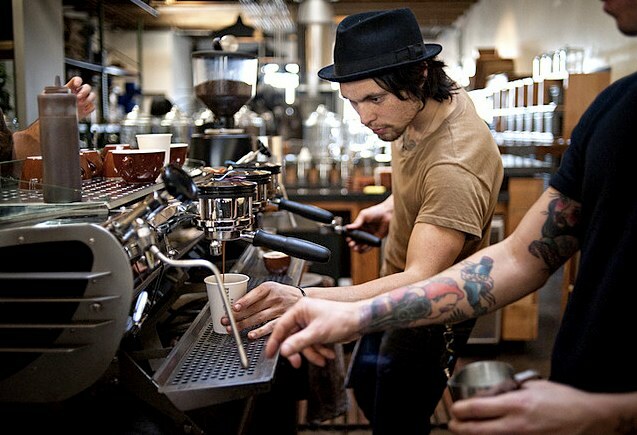 Happy Birthday, Four Barrel! To celebrate, they are pouring free coffee until 4pm. 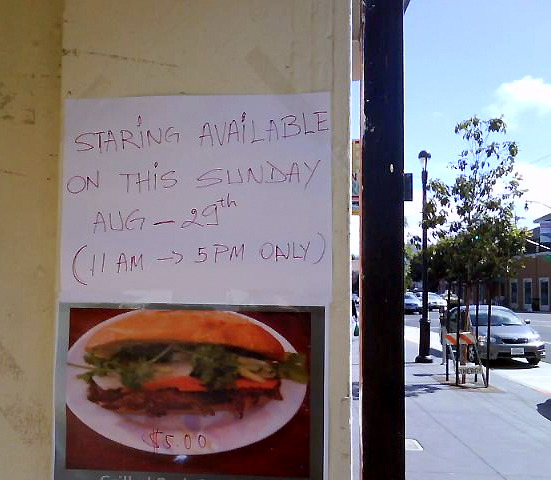 Banh Mi in the Mission? 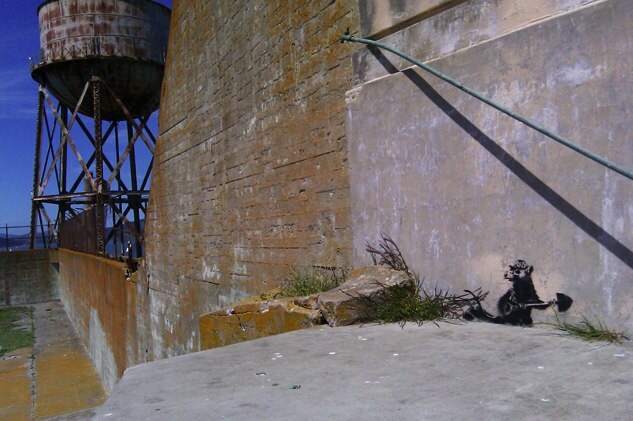 I happened upon a photo this morning that threatened to turn the whole Mission upside-down. Geographic cues indicated that it was taken merely down the street on Valencia, so I just had to investigate, questionable grammar aside. 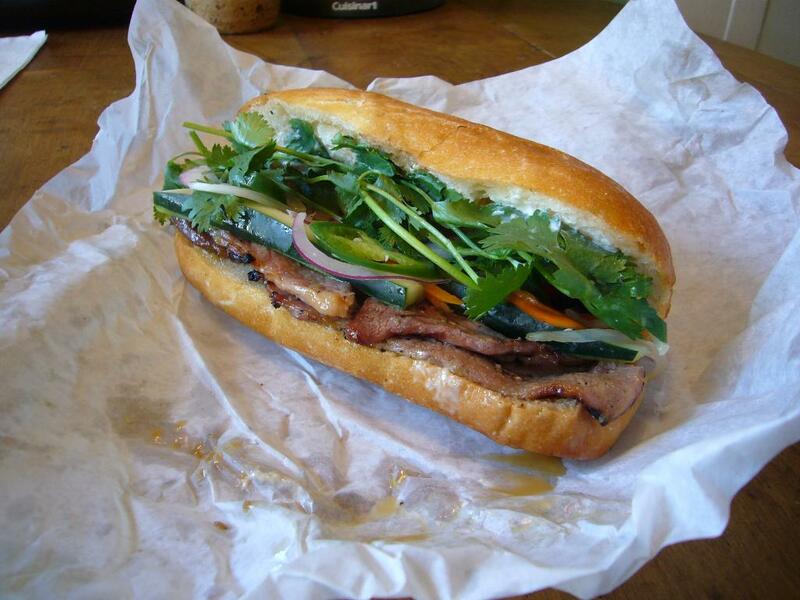 First, a little back story: I’ve been searching for a dependable Vietnamese sandwich spot in the Mission for quite a while now, but to no avail. My interest was especially piqued by the whole street cart movement that started last summer, but the hours of the mobile banh mi vendors were just a little too irregular for my taste. Which brings us to today . . . 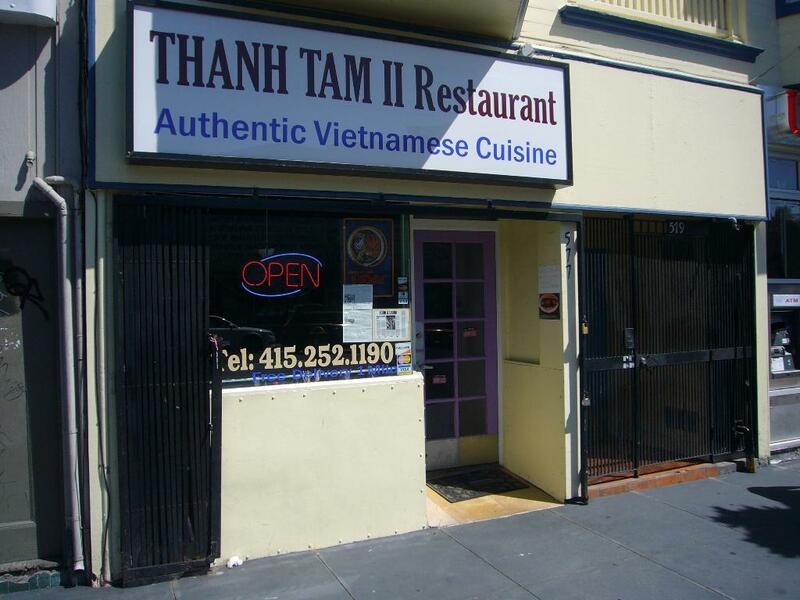 The mystery spot in question predictably turned out to be Thanh Tam II, the other Vietnamese restaurant. You know, the one you go to on those rare days when the wait for Sunflower looks to be over 30 minutes. The host gave me the choice of chicken, beef, or pork, but informed me the price would be $5.50 rather than $5. Nonetheless, I ordered a pork to go and headed back home. The sandwich was amply packed with a generous assortment of carrots, cucumbers, cilantro, jalapenos, and onions (but no daikon). Also absent was any sort of pate lining, which would have deftly complimented the well-marinated, tangy pork cuts. Instead, only mayonnaise coated the bun, which was a perfectly flaky roll similar to those used by the Saigon ladies. Size-wise, the sandwich looked to be about the same as its Tenderloin counterpart, although it didn’t feel quite as hefty. To be fair, it was their first day serving banh mi, so they still have some time to work out the kinks. I do see a lot of potential, however. All in all, it’s definitely nice to finally have a go-to Vietnamese sandwich alternative here in the Mission, even if we have to pay an extra $2 convenience fee. Author Andrew SarkaratiPosted on August 29, 2010 Categories Food and Drink, Life in the MissionTags banh mi, vietnamese sandwich12 Comments on Banh Mi in the Mission? 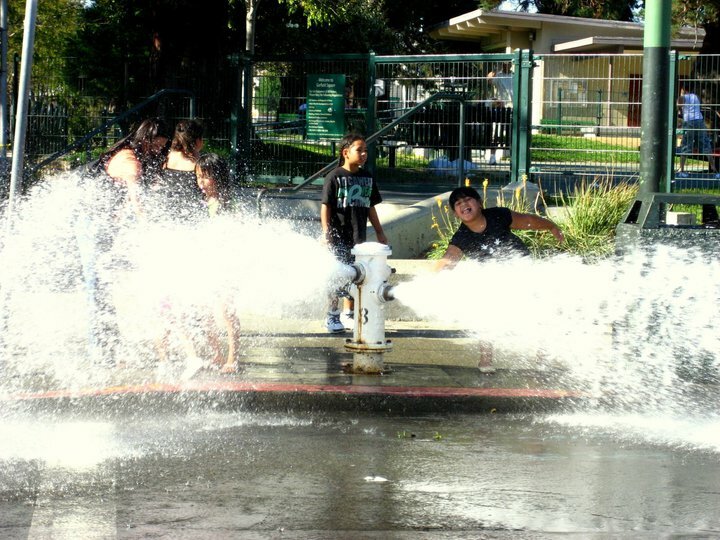 Last Tuesday’s record-breaking hot weather forced many Mission residents to find their own way to deal with the heat, whether it was ironically complaining about how hot it was despite complaining about how cold it was the previous week, or seeking refuge in Dolores Park only to have the party broken up by police. 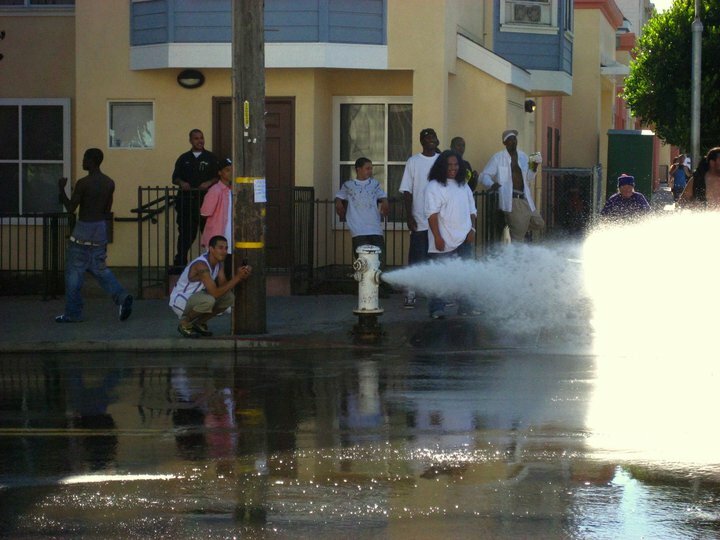 A few enterprising residents instead decided to take matters into their own hands and held their own Crooklyn-style water party courtesy of a neighborhood fire hydrant. Luckily, our pal Elizabeth was on the scene and managed to capture the fun! Why couldn’t the hipsters think of this?